Imagine you are looking through a crowd for a friend you haven’t seen in years. You have in mind an outline of what to look for but as you scan attentively through the crowd you simply can’t find him. Why ? 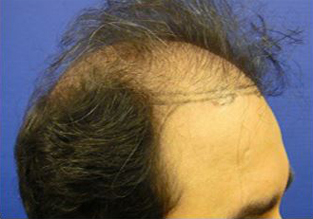 The answer may very well be his hair loss- as this hair transplant patient of Dr. Joseph Williams of Las Vegas may help to demonstrate. Hair loss is merciless and progressive. If you haven’t seen a person in even just 2 years that person’s appearance may have changed so radically that you might not realize he’s standing right next to you. Hair covers bald skin, everyone knows that. But what many people don’t realize is that it is also a major three dimensional component that the eye depends upon to confirm identity when scanning for a specific person. Hair is even more important than the face when looking through throngs of moving people because the odds of the person you are looking for looking straight at you is extremely low. person is so key that when police are trying to identify a person of interest they will always show photos of the face AND the profile when possible to witnesses. In a sense we are all cops because we look for people we are acquainted with in the very same way. But if the profile has been extremely altered it becomes very difficult to find a particular person. Ask anyone who has ever been to a 20 year high school reunion. 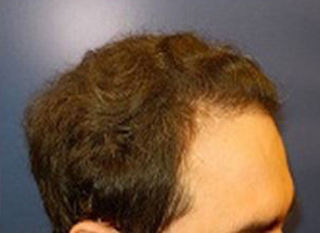 Ironically, this patient of Dr. Williams suffered with hair loss for so long prior to his procedure that he became LESS recognizable after his hair transplant grew out. Whereas the top of his head from a side view used to exhibit a flesh color with no dimension whatsoever above his head, now he has the exact opposite. And because the hair came from the safe donor area his chances of losing it again are virtually zero. Hair restoration experts like Dr. Williams should be lauded for their near miraculous transformations, even if it makes friends a bit more difficult to spot in crowds.